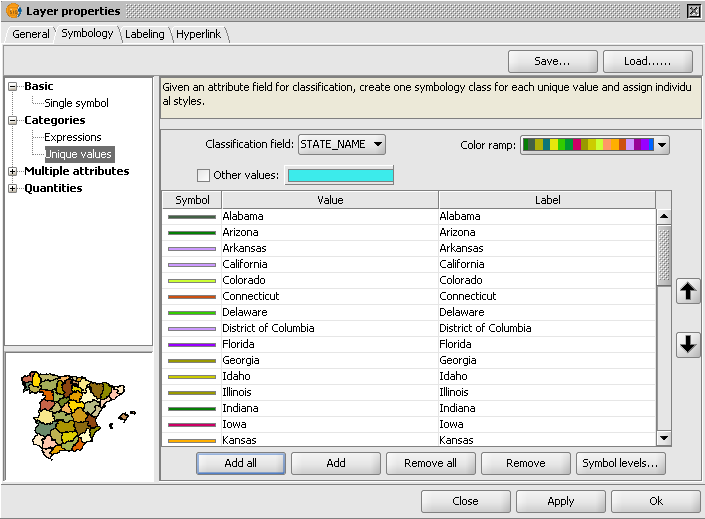 Creating thematic maps based on one or more attribute fields of a geographical feature is a fairly typical GIS task. 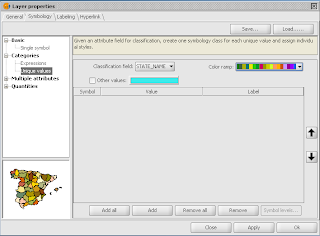 The free and open source software gvSIG has the tools to quickly generate a thematic map of a geographical layer. 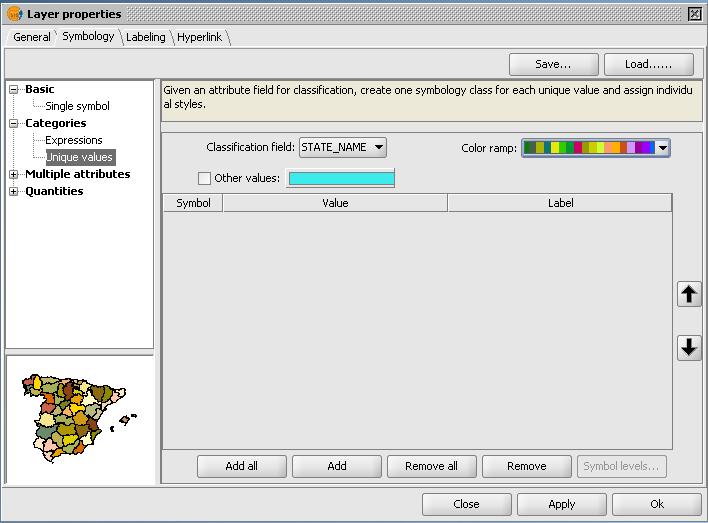 The example below shows the procedure to color the thematic map according to unique attribute field values. 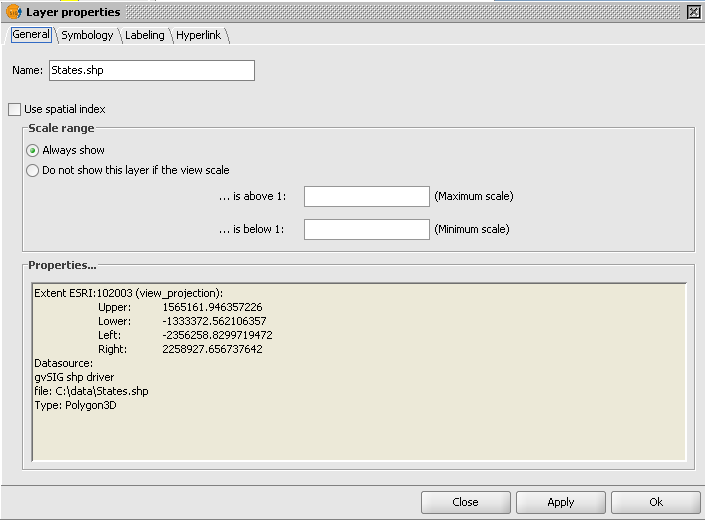 Open up gvSIG OADE and display a polygon layer e.g. States.shp. In the legend, press a mouse right click on the States.shp layer. Expand the Categories tree node. 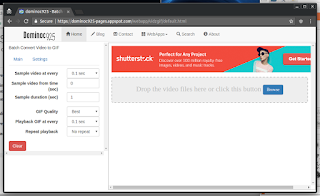 Choose Unique values. 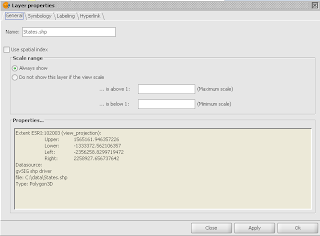 In the Classification field, choose the field to style with e.g. STATE_NAME. In the Color ramp field, choose a suitable color table. 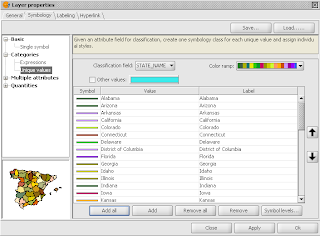 The colors are assigned to each unique field value. 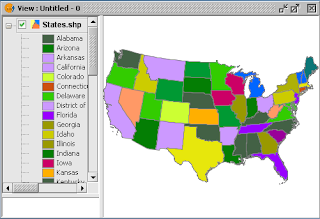 The thematic map is generated.